Today I am over the moon to be able to reveal one of the suppliers for our May book boxes! 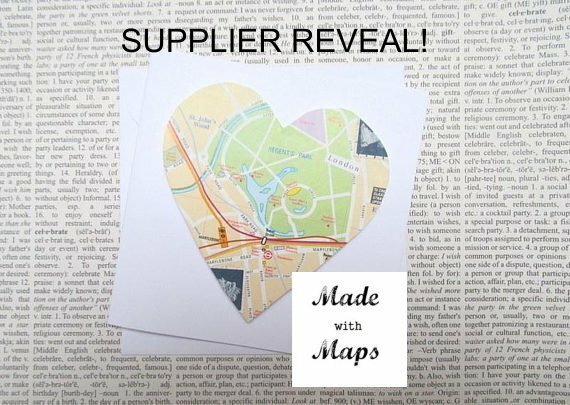 Made with Maps is run by the wonderful Laura Barker who crafts amazing handcrafted cards, gifts and treats using vintage maps. Laura has provided us with an item that is unique to My Chronicle Book Boxes. They have arrived at My Chronicle HQ and I can tell you that they are fab! The pictured card is not what will be included in the book boxes but gives you a flavour of her craft!